The Singular Themer layout is a type of content layout in Beaver Themer (which can be purchased here). It can be applied to single posts and pages. The Singular Themer layout behaves differently from the other Themer layout types because it is the only layout type that includes a module for the content area of the page, and you add the content for each individual post or page with a WordPress text editor. See the screenshot in the following section for what the Singular Themer layout's template looks like. It can be used for single posts and pages, but most of the special Post modules that are used in Singular Themer layouts (described below) apply to posts, not pages. It has special Post modules that display post title, author, date, category, comments, post navigation, and featured image. See the screenshot in the next section. These modules use field connections to display the correct information for each post. 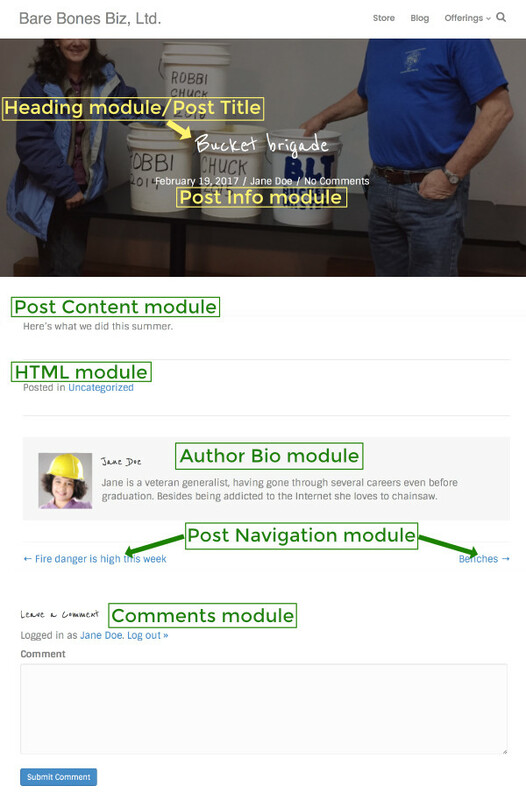 There is also a special Post module that serves as a placeholder for where the content area will go. 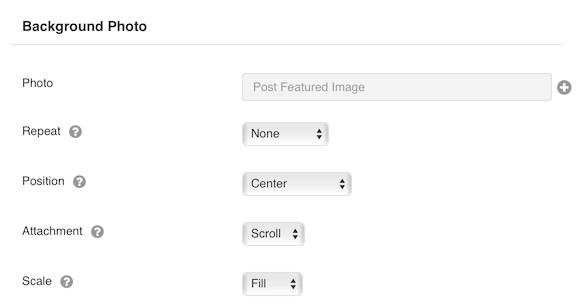 You add content for individual posts using the WordPress editor, not Beaver Builder. There can only be one content area for a post or page. If you include more than one Post Content module in a Singular Themer layout, the content from the post or page will repeat in both instances. If you'd like a short refresher on the WordPress content area, see the primer in the Related Article below. When you create a Singular Themer layout and open it in Beaver Builder, the Singular layout template is automatically applied, which you can then modify. The layout template contains most of the post information and post content that you'd want for a single Post. See the next section for detailed information about the Singular layout template. It's easier to design a Singular Themer layout if you already have one or more Posts created. You can preview the posts as you work and see the information that will appear from each post. If you ever want to revert to this default layout, click the Templates tab in the Content panel when you're editing the Singular Themer layout in Beaver Builder. You can add a Related Posts section with a Posts module. See the Related Article below for instructions how. Two rows, one for the post title area with the post featured image as the background, the other for the rest of the content on the page. For the post title row, there's a background photo set to the Featured Image field connection, as shown in the following screenshot. There's also a dark row overlay set to 50% opacity. Text color is set to white. The post title is placed in a Heading module, with the Post Title field connection in the Heading field. 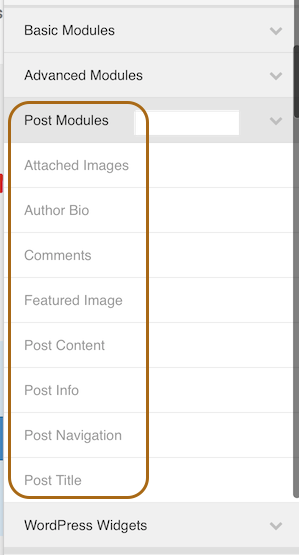 The Post Info module displays date, author name, number of comments, and terms (categories or tags), in that order. You can display all, some, or none of these four types of information. To change the order you can line up a series of Post Info modules, each of which contains only one info type. Or, you can just use code to do that. The Post Content module is the content that you'd write into the WordPress text editor, and in fact that's just how you'll add the Post content for individual Posts controlled by this layout. Note: You can't use Beaver Builder to edit the content of individual posts when a Singular Themer layout will apply to that post, because it breaks the Themer layout. 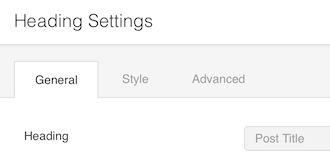 You'll use the native WordPress editor, where you can add text, images, shortcodes, and some code. The HTML module contains code to display the Post categories. The Post Navigation module displays the previous and next posts. The Comments module displays the standard information about Post comments. You cannot configure which information is displayed. You can only configure what's typically on the Advanced tab of a module: margins, responsive display conditions, visibility, animation, and custom ID or class names. When you edit the Singular Themer layout in Beaver Builder, there's a special module group called Post modules, as shown in the following screenshot Most of these modules are used in the Singular Themer layout template. Note: While the Singular Themer layout can be applied to pages, it has limited usefulness. Most of the specialized Post modules for Singular Themer layouts don't apply to pages, and your pages' content area will have to be edited in a WordPress text editor.